You can buy them life-saving medicine. 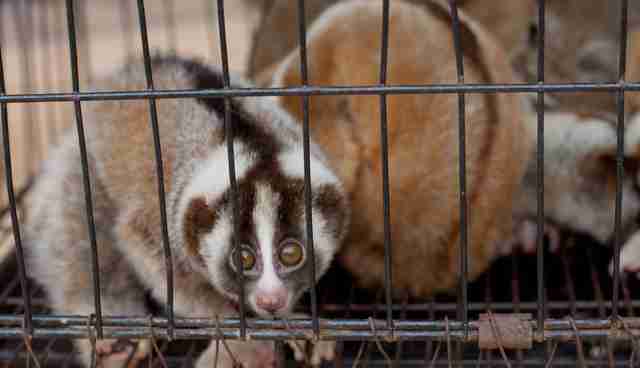 Thirty-four terrified slow lorises were just seized from wildlife traffickers in Indonesia by police. The shy, nocturnal, tree-dwelling animals were about to be sold as pets over the internet, according to International Animal Rescue (IAR), an organization that runs a slow loris rescue center, where these animals will recover from their plight. The animals are "traumatized," IAR says. Captured slow lorises are typically packed in tight boxes during smuggling. "The modus operandi of these criminals begins with the hunters who capture the animals from the wild," Diki Budiman, assistant director of the special crime unit in Polda, West Java, says in a press release. "The lorises are then sold online, via Facebook and other social networks." Social media is being used more and more by animal traffickers, according to IAR. 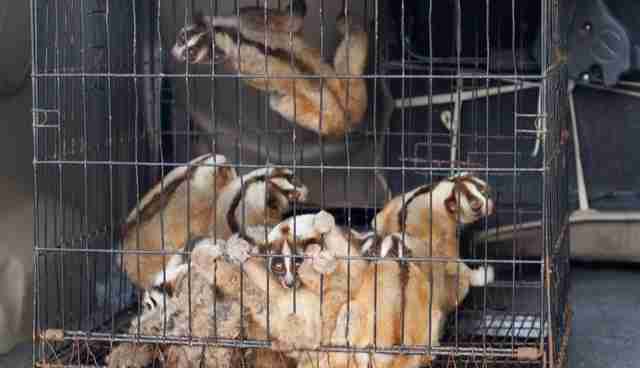 "The police got to these lorises just in time," IAR writes. 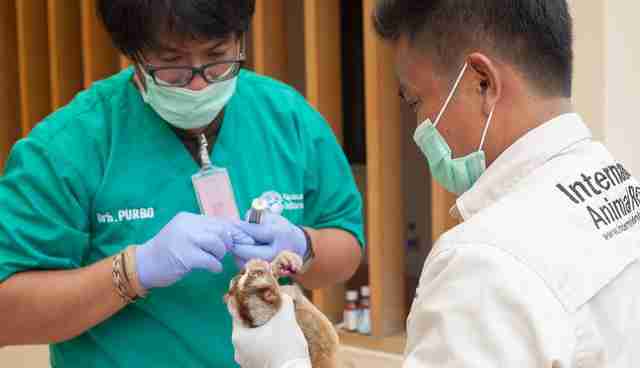 "Now, our team are working flat out to stabilize the lorises' condition. It will be touch and go during the next few days as to how many of them survive." Some of the lorises are missing part of their teeth - traffickers cut their teeth off to make the animals easier to handle. Others are seriously wounded and all are showing signs of extreme stress, IAR says. 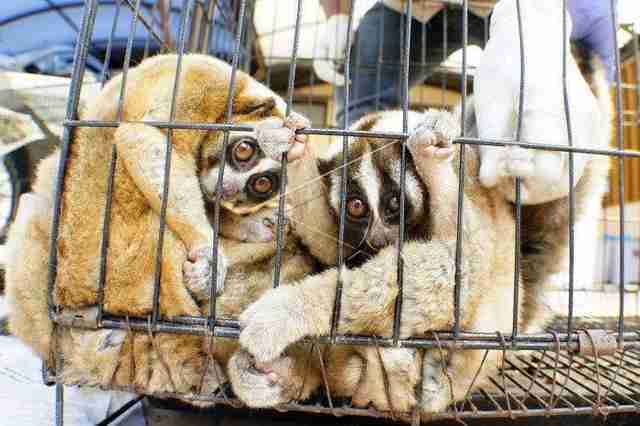 "All of these lorises need intensive treatment and care after suffering so much trauma," IAR writes. 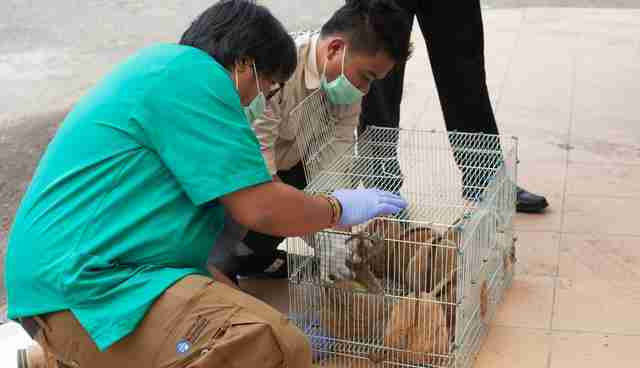 "[O]ur vets will do everything they can to save the lives of as many of the rescued lorises as possible." IAR urgently needs special syringes full of essential nutrients and vitamins for the 34 rescued slow lorises. Five dollars buys one of these lifesaving syringes. Click here to pitch in.